With the increasing number of users and fans across the world, Facebook shakes hands with TV Partners. It recently shared the data which offers about the "actions" - means likes, comments or shares. What Facebook is planning is to send the data report about its users' comments which is mainly related to the TV scheduled programs to 8 countries. The countries include India, U.K, Germany, Brazil , France to name few. The report will display the buzz and online talk to these TV partners. Main reason for this update is for boosting the advertisers and their style of advertising. This will make the advertisers change their advertising styles for making a product so interesting. The program is still new born and will take its gear up later on. 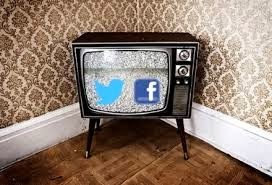 As stated in Wall Street Journal, the rivalry between Facebook and Twitter around TV is spread overseas. Mainly it may sound this way also : "Facebook Ads TV Overseas". Last week it was announced that Facebook has added Instagram for showing relevant ads on it. Now it is making its new connections for Televisions too.